New Year is here. Make your resolution for better health. It’s that time again! Join millions of people all around the world by making a New Year’s resolution. What’s it going to be this year? Experts state that the majority of people will not keep their resolution and will fail to reach their desired result. The most common reasons why resolutions are broke include: the resolution is not realistic, the resolution is not specific and measurable, or the individual doesn’t have any accountability or motivation to work towards the goal. So, make sure that you make a resolution that is reasonable, you can track your progress, and you can surround yourself with people who will support your effort and push you to stay focused on your goal. The top New Year’s resolutions focus on health and wellness. Is your resolution to stay fit and get healthy, or is your resolution to lose weight for New Year 2017? Millions of people will try and they will join the local gym, and they will exercise, and they will go on a diet. And, by mid-January or at the end of the month of January, it’s likely that 80% or more will have given up on their resolution. Here’s a suggestion, this year try something new. Don’t keep doing the same thing over and over again and expect a different result. You know what that is… Insanity. So, go ahead and change your plan. I’ve got an idea for you. Why not try a challenge this year? You’ve seen the Ice Bucket Challenge to raise funds for ALS. The Ice Bucket Challenge really motivated people into action and it raised a lot of money. Well, there’s another challenge that you can consider joining and it could really change your life. It’s called the Dare to be Wild Challenge. Click on this link to get more details and find out how you can take the dare and join the challenge. This year don’t make a resolution, instead join the Dare to be Wild Challenge. The challenge will help motivate you to change your lifestyle, eating habits, encourage you to be more active, and lead you to a healthier lifestyle. Thanks for reading. Have a Happy and Healthy New Year! Welcome to the New Earth Challenge, “Dare to be Wild“. 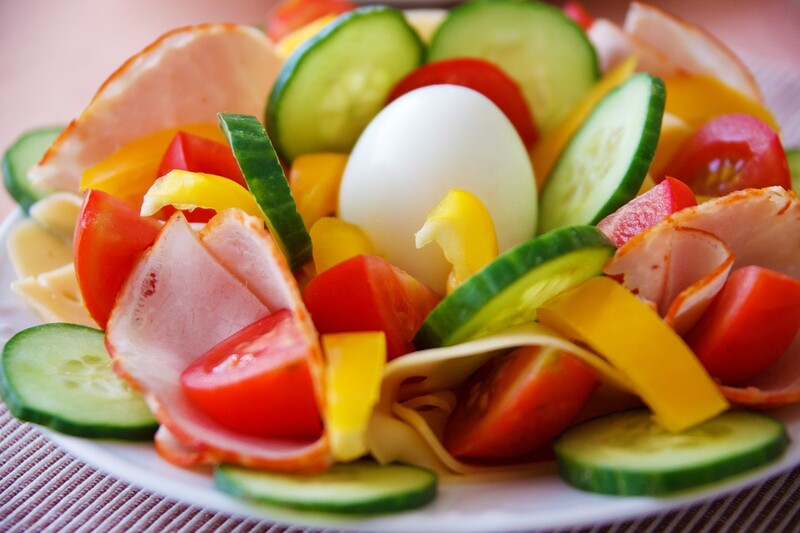 Have you considered a clean eating diet or tried to eat clean over an extended period of time? First, what is clean eating? Eating clean foods for your meals and snacks means that you eat whole food, wild foods, fresh, pure, natural, organic foods like vegetables, fruits, whole grains, and lean protein. A clean food diet will eliminate the junk foods, processed foods, and the bad foods that contain synthetic additives. In addition, when you eat clean, you’ll limit consumption of foods that are high in sugar or salt. Eating clean will help you get a good dose of essential vitamins, minerals, and nutrients that will help you to be healthier and stronger. In addition, cutting out the bad junk foods will likely also reduce the amount of calories that you consume on a daily basis. So, the outcome might be some weight loss and you will probably experience health benefits by eating natural superfoods and wild food products. They are simply good for you and will help you feel good. In contrast, bad foods, desserts with lots of sugar, fast foods, and processed foods are usually loaded with calories, fat, and don’t offer the nutritional value that you get from clean foods that are pure and loaded with nutrients. Bad foods or fast food may temporarily make you feel good, but the long-lasting effect over a period of time is unhealthy and not good for your health. Changing your diet, adjusting your lifestyle, and moving to a clean eating menu will require effort, persistence, and a focus on your goals which might be losing weight, getting in shape, eating better, and in general, improving your overall health. The New Earth Dare to be Wild 90 Day Challenge is a new food challenge that can help guide and motivate you to achieve your health and fitness goals. You can go to the Dare to be Wild information page to learn more about this challenge, and how you can get started. Believe me, you’ll be glad that you accept the Dare to be Wild challenge and take the Dare to be Wild pledge. The New Earth challenge will help you to eat clean healthy foods, drink more water, and get more physical activity. At the end of the 90 day challenge, you’ll feel like a whole new person! So, check it out and invite others to join you – click here to get started now. Okay, now I’d like to provide some information and healthy ideas about New Earth wild food products for your health. New Earth is all about natural, clean and nutrition to power your body, mind, and spirit. Fueling your body with nutritional supplements made from whole foods and some of the Earth’s first foods such as fungi and algae. These organic and powerful wild foods are incredibly helpful for peak performance and healthy maintenance of your internal body functions. Please browse the information and links below to get some healthy ideas and learn more about New Earth products. or call New Earth Life Sciences at 1-800-800-1300. Use referral id # 2030074. For digestive support, try acidophilus and enzymes. For peak performance, whole superfoods found in New Earth Edge supplements provide cellular energy and optimal recovery yielding better performance. For an energy boost, try BioAgile liquid shot, the new energy drink made from all natural foods and organic wild microalgae. Spirulina and chlorella are powerful foods from Mother Nature, buy spirulina tablets and the benefits of nutrient-dense combination of freshwater microalgae chlorella, spirulina, and pure Wild Bluegreen algae from Klamath Lake. Wild mushrooms are a powerful organic food. New Earth Wild Forest, is a proprietary blend of reishi, maitake, cordyceps, wild black trumpet, and Poria cocos, designed to support a healthy immune system. 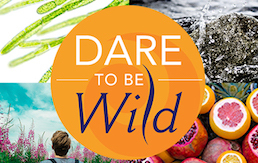 For clean eating, take the New Earth Challenge called Dare to be Wild. Eat clean foods and cut out the processed, synthetic foods, and bad foods for 90 days. Okay, so that’s it for today. Please bookmark this blog and check back for my next post. *The statements or information on this website have not been evaluated by, the FDA and are not intended to diagnose, treat, cure, or prevent any disease. What is Dare to be Wild? The Dare to be Wild challenge is a 90 day challenge daring if you can reduce or eliminate bad processed foods and synthetic foods and replacing it with high quality foods and whole wild natural foods filled with powerful nutrients, vitamins, and minerals. In addition to changing and removing junk food from your diet and eating better, the person will try to move more, get more exercise and physical activity, drink water, and use New Earth products that are made from the best superfoods such as algae and fungi. Will you take the dare and go wild? Eating natural foods and getting rid of unhealthy processed foods for 90 days is a healthy choice and investment in your health. Daring to be wild, the 90 day dare to be wild challenge is a lifestyle change that focuses on food, activity, hydration, and adding high quality nutrition supplements from New Earth to help improve your physical health, strength, endurance, flexibility, recovery time, immune system, digestion, brain health and sense of well-being. If you had to rate how you currently feel about yourself, your health, your job, your life, and your overall happiness and success, where are you on a scale of 1 to 10? If you’re a 9 or 10, great, then keep doing what you’re doing, you probably don’t have any reason to participate in the Dare to be Wild challenge. But, if you’re a 1, 2, 3, 4, 5, 6, 7, or 8, do you ever consider if there is something you could do to increase your personal life rating? That’s where Dare to be Wild could provide the challenge to help you make it better. Do you want optimal health, happiness, and success? Learn how you can get involved in the Dare to be Wild challenge, find out how you can save money by making healthy choices, cut out the bad foods and start eating healthy good foods, superfoods, and discover a new you! Do you think you’re ready for the dare to be wild challenge? Go to the Dare to be Wild website and get all of the details on how you can get started and see how you can be one of the first wild ones to take the dare to be wild pledge. Imagine how much difference this could make in your life and possibly changing the lives of your family members, friends, co-workers, and Facebook friends. This challenge will be fun, safe, healthy, and it has the potential to really be life-changing for thousands and perhaps millions of people. We know that diet, nutrition, and exercise are factors that impact our health and if ignored may become risk factors that lead to chronic illnesses such as diabetes, obesity, heart disease, stroke, cancer, and osteoporosis. We were not created to eat synthesized foods full of chemicals, additives, preservatives and other unnatural ingredients. We were not created to sit and to be inactive for long periods of time. Our body must have adequate water supply to survive and thrive. Therefore, pure foods, whole foods, natural foods, organic foods, fresh foods, raw foods, earth’s first foods, algae, mushrooms, spirulina, wild foods, and superfoods are healthy choices that we want to consume to strengthen our body, mind, and spirit. Say no to junk food, fast food, processed food, instead choose wholesome foods, health foods, and use supplements that are made from wild natural foods. 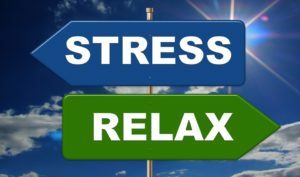 Also, for optimal health and wellness, plan time during the day for some light to moderate exercise, yoga, walking, running, biking, hiking, swimming, golf, crossfit, cross training, or some other form of physical activity or recreation that will help you to stay healthy. Finally, drinking water is a good habit that will help your body and mind operate efficiently and at its best. Why is it important to eat real food, wild foods, raw, organic, and natural foods that are wholesome and so healthy for your body and mind? Is your life vibrant, full of energy, strength, and ready to take on the world? If not, it’s time to be wild and to take the New Earth Dare to be Wild, 90 day challenge. Go ahead, take the dare to be wild, it’s a 90 day dare to be wild, and to eat and live better by cutting out the bad food and replacing it with real good foods that provide the nutrition that we need for optimal health. Take the dare to be wild pledge and you will experience the support of New Earth foods that will give you the physical and mental support using all natural New Earth wild food supplements such as Wild Essentials, Edge, and BioAgile. What are you waiting for? Make a healthy choice, take the New Earth Dare to Be Wild 90 Day Challenge, and discover a new you! Join the New Earth team and New Earth leaders, bring your friends, family, loved ones, and invite your Facebook friends to be Wild. The New Earth Dare to Be Wild Challenge will help motivate you to cut back on fast food, instead try to focus on eating healthy snacks and using healthy recipes that will be best for nutrition. When you eat better and make healthy food choices, healthy meals and healthy desserts will provide essential vitamins, minerals and nutrients that help you to stay strong and well. When you wake up, eating a healthy breakfast is important because you will be hungry and your body will be craving nourishment and energy. You can find many healthy dinner ideas, healthy lunch ideas, and healthy breakfast ideas to enjoy a variety of healthy foods for all of your meals and snacks. There are plenty of easy healthy recipes and meals that you can plan and prepare, and they don’t contain junk foods. Fast foods may seem to be a good food choice when you want a quick meal, but healthy meals are much better, and they can be healthy fast foods when you don’t have a lot of time and need to eat immediately. So think healthy, fresh, raw, natural, whole, wild, organic, hearty, wholesome, nutritious, vegetarian, vegan, and find the best sources of food.